It seems that hair is "my thing" nowadays. First I raved about Balea LE Jeden Tag Mango Shampoo and now I am here again, just a post later with a hair brush ;). Lately, I have been really good with photographing new items and testing them out. So, I strive to tell you my impressions about them as soon as possible. 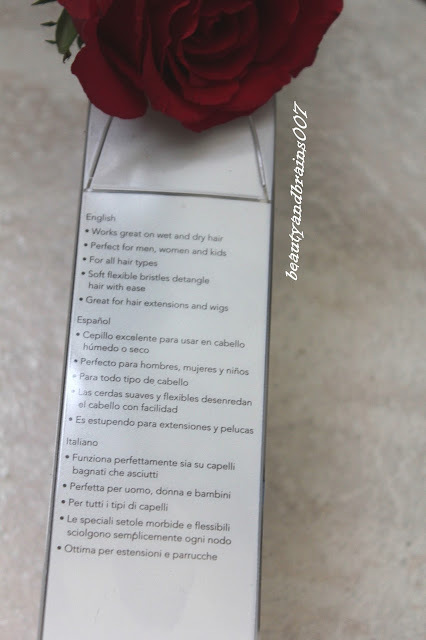 You could have seen The Wet Brush-Pro before in my New in post and in my review of The Cult Beauty Box by Anna & Lily where I received it, but today it is getting its own, well deserved post. "An innovation in hair care, The Wet Brush has totally transformed our locks (and lives)! 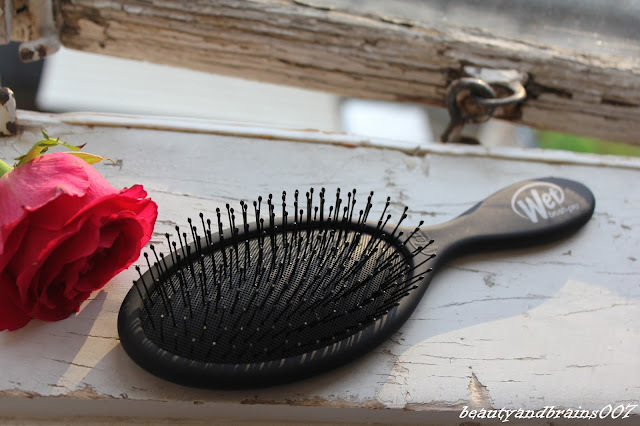 Detangling in mere minutes, this (let’s be honest, fairly ordinary looking) brush is the secret to happy hair, healthy scalp, and no more mornings spent wrestling (crying) over that nape-of-the-neck dread that’s developed… Lightweight and easy to wield, Classic Wet Brush seamlessly separates all knots and tats without compromising precious strands. 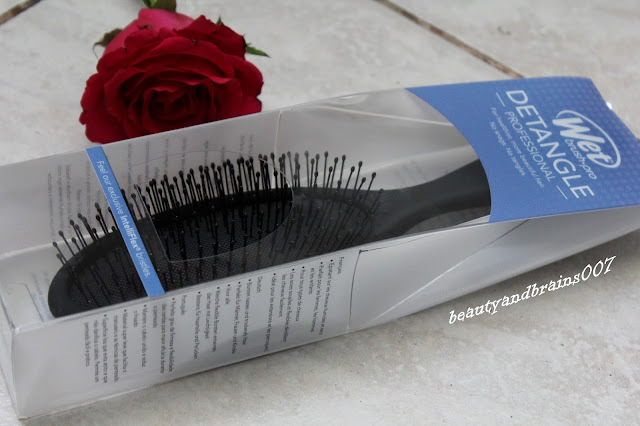 This is all due to the revolutionary ‘Intelliflex’ technology; the thin, strong yet super flexible bristles have brains – yielding or unbending as required – to glide through tangles with next-to-no tugging, tearing or tress distress. 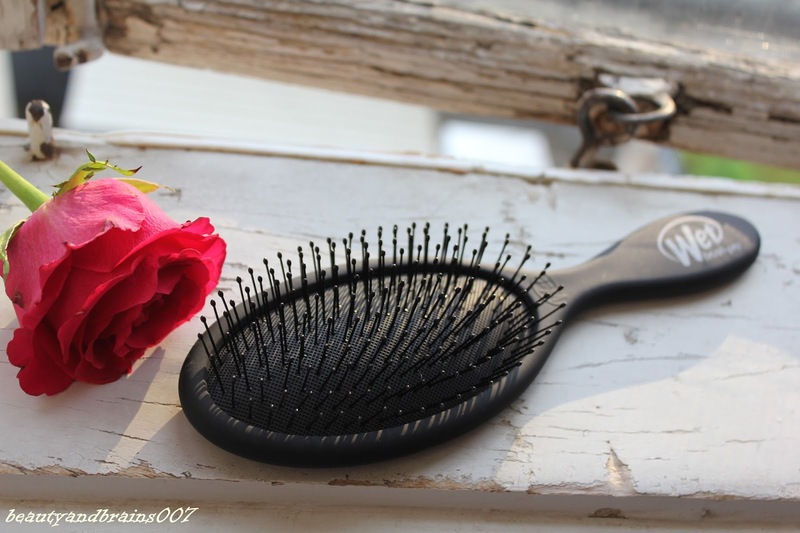 What’s more, the ball-tip bristles are perfect for gently stimulating circulation near the scalp, to better feed your follicles and encourage new growth." 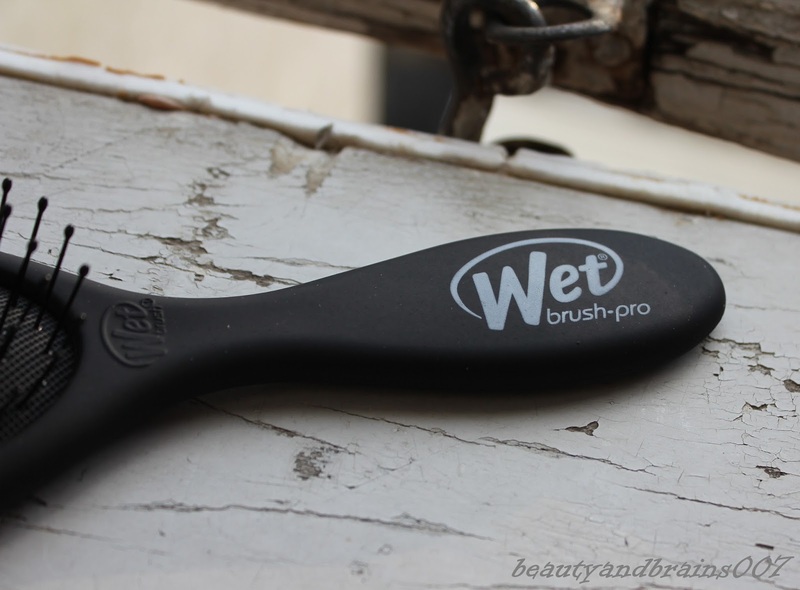 The Wet Brush is ergonomically designed with a rubber coated, non-slip handle. 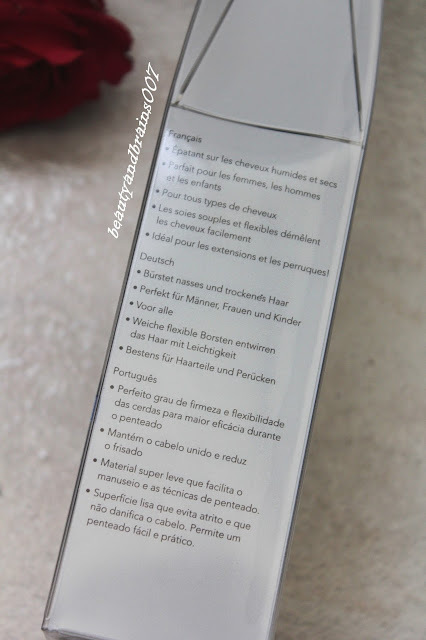 This is ideal for eliminating post-wash knots and reinvigorating your scalp – as well as for smoothing and separating dry hair (including both real and synthetic extensions). It is suitable for all hair types and textures, men and women, and children as well. 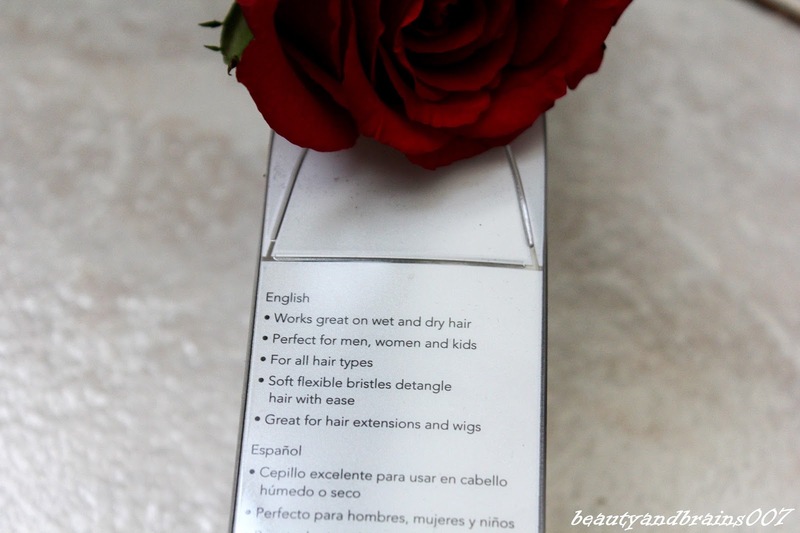 Because of its Intelliflex bristles it is also suitable for wigs and hair extensions. And now it is my turn. My hair is long, straight and dense with a tendency to get tangled. That is why washing my hair was a nightmare, it hurt und lasted at least 20 minutes even with a wide tooth comb until I discovered Macadamia No Tangle Brush (review). But I know that girls with long, dense and curly hair weren't equally impressed with it, because its bristles weren't long enough for their curly hair. 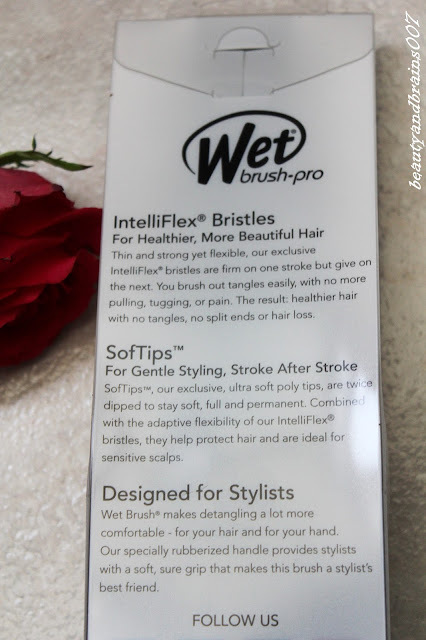 Since The Wet Brush-Pro is designed as a typical hair brush with longer intelliflex bristles, I think it might be a great solution for them as well. Personally, I am loving The Wet Brush-Pro!!! 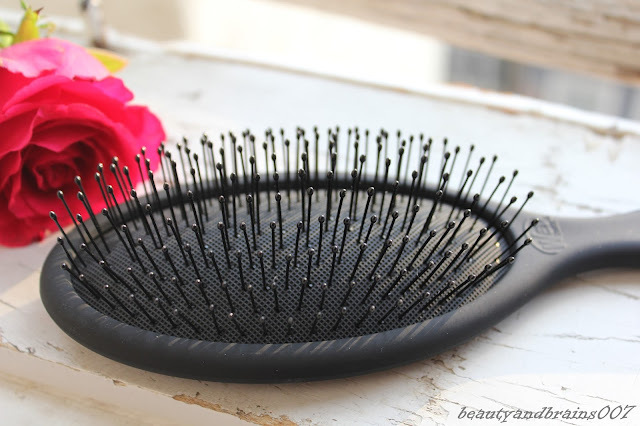 It has a classical design and is rubberized so you get a good grip on the handle which makes brushing out wet hair easy. I don't think that the brush will fall out of your hands because of the water and conditioner, which I hated about The Tangle Teezer. The rubber reminds me a bit of Nars packaging. 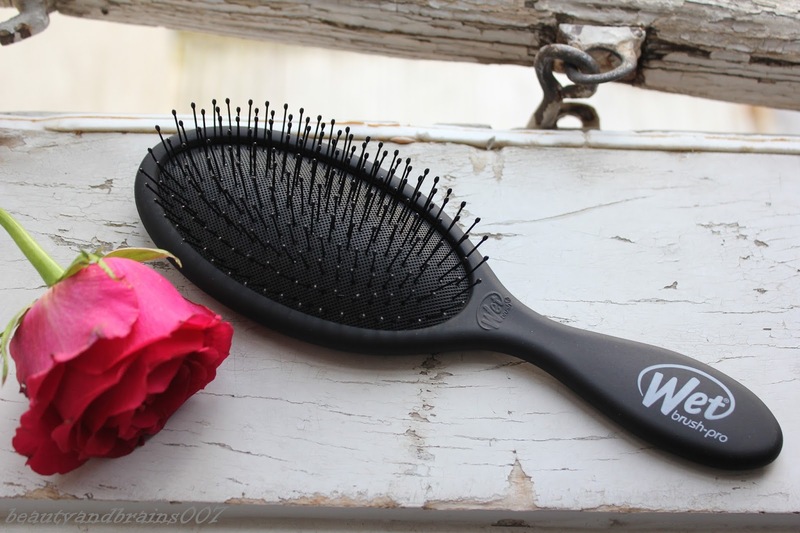 The Wet Brush-Pro is great for combing out dry hair also, but I prefer it for wet hair, because it is quick, efficient and without any pain. I don't wear wigs or extensions, so I can't say how it would work for them but I heard girls with extensions raving about these brushes as well. For me and my needs, this is an amazing product which I recommend! If you are wondering where to find it, look no more! It is available everywhere - Lookfantastic, Hqhair, Cult beauty, Beauty bay in multiple sizes, designs and colours. Mine is Classic Black and costs 12 GBP, but you can often find them on sale or use a coupon code to get them cheaper. What do you think? Have you tried Wet Brush-Pro? Interested?